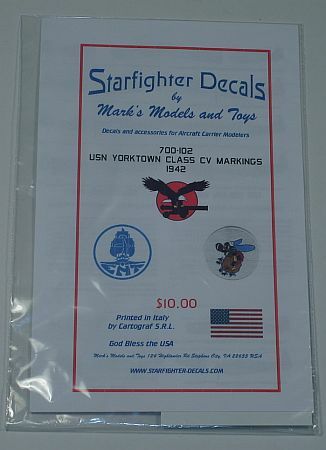 Starfighter Decals continues their release of decals for United States Navy (USN) carriers by releasing this set for the Yorktown-class ships – primarily the Yorktown, Enterprise and Hornet – during 1942. 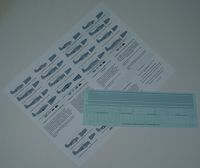 The instruction sheet includes directions for how to paint your carriers during a specific time frame. For example, for the Neutrality patrol, the USS Yorktown was finished differently than when it sailed during the war. The instructions point out all variances and differences for you. The decals for the carriers themselves are pretty simple, mainly lines and such for the top of the deck. Wherever there are differences the instructions mention those; however, it is also best to check references, and the instructions mention you to do that as well. The decals are not only national insignia, but aircraft numbers as well. 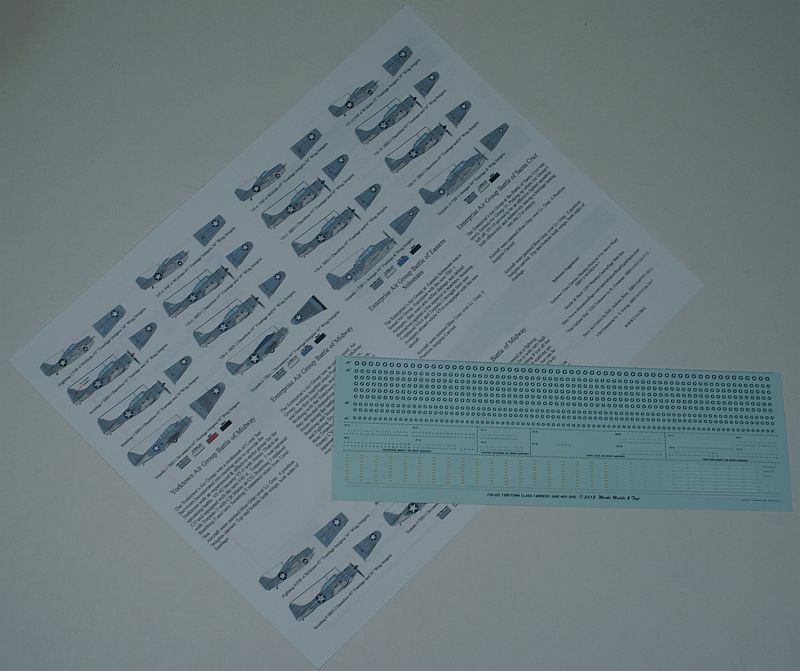 If you're looking to finish – and outfit with an air group – any one of these carriers from this time frame, you'll definitely want to pick up this set from Starfighter Decals. Everything you need is in one place, and with the decals being printed by Cartograf you can be assured of their excellent finish. We definitely want to thank Stafighter Decals for allowing us to review this set.